Ethnics the world over have relied on the unique flavor of garlic to enhance their cuisine. Now garlic is gaining an equally wide reputation as an enhancer of men’s health through its unique therapeutic properties. Garlic has been considered medicinal throughout recorded history. Ancient inscriptions in the pyramids of Egypt, in Greek poetry and in some of the earliest Chinese writings laud the benefits of garlic. 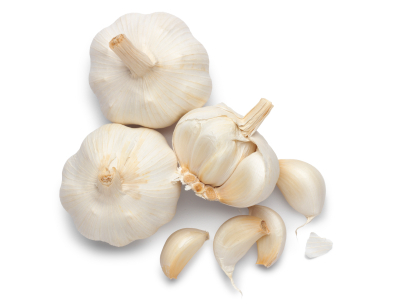 Even Louis Pasteur was impressed with the antibacterial qualities of garlic, testing it in nineteenth-century France. In modern times it remains the most widely sought after herb on Earth. Over 2,500 scientific studies dedicated to uncovering the therapeutic value of garlic in the treatment and prevention of many common illnesses have taken garlic from the kitchen, into the lab. Garlic oil has definite benefits for men’s health. Raw garlic has long been known as a mild but effective antibiotic, which also has anti-viral and anti-fungal properties. Rich in selenium, it has been associated with decreasing the incidence of cancers in the digestive tract, along with removing heavy metals (like lead and mercury). The active organo-sulfur compounds in garlic oil have been shown to increase the bioactivity of cytochrome P450 (an important enzyme in the production of energy in cells) which may be associated with reducing hyperlipidemia (excess blood fats like cholesterol) while improving detoxification in the liver. Garlic is known to assist in the prevention of thrombus (blood clot) formation, thereby possibly guarding against strokes and phlebitis (deep vein thrombosis, or clots in the legs). It can help lower your blood pressure and may even slow the buildup of atherosclerotic plaques in your arteries. The latest research shows garlic oil as a wonder-drug for cardiovascular disease. The omega-3 fats in fish oils have been known to be of great benefit to overall heart health, but with garlic oil added to the mix there were found to be far greater reductions in total cholesterol than with fish oil alone. Supplementing with garlic oil can assist in lowering triglycerides and greatly reduce LDL ‘bad’ cholesterol, while improving the ratio of total cholesterol to favor ‘good’ HDL cholesterol. This ancient remedy is being confirmed as a modern miracle for natural health as it aids digestion, detoxification, immunity and cardiovascular functions. Taken daily, garlic oil benefits nearly every aspect of men’s health.